Sandro Botticelli became a fixture in the household of Lorenzo Medici, the most powerful man in Florence and a great patron of the arts. For decades, the Medicis had grown their art collection drawing from all corners of Europe. The combination of these paintings on display with the circle of humanist scholars and philosophers would inspire anyone. 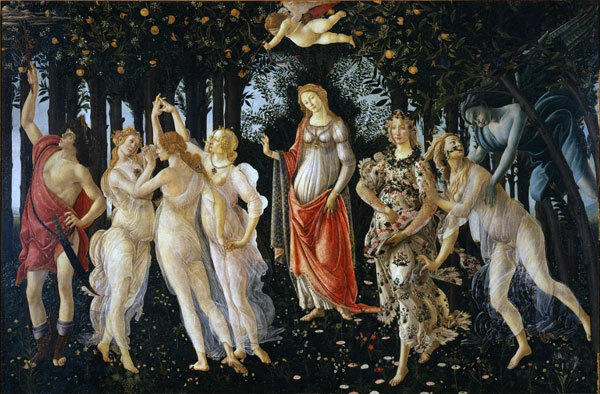 That influence is apparent in this great work by Botticelli, which draws heavily on both classical symbolism as well as possibly drawing on neo-platonist philosophy that discussed Platonic love.